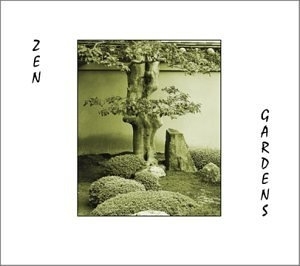 This is an album of impressionistic synth compositions, “music inspired by the temples and gardens of Kyoto.” Fans of Steven Reich, later Tangerine Dream and Kitaro will appreciate these compositions of Wall Matthews. Several duotones decorating the CD picture render the well-tended gardens, picturesque brooks and stylistically furrowed sand that should come to mind when listening. Multi-instrumentalist Wall Matthews is known for his abilities in African percussion, as well as guitar and piano. While the mood here is distinctly Oriental and not African, there is a gently percussive quality that imbues a sense of rolling motion to the pieces. Matthews also composed dance scores for ballet companies and these pieces are evocative of the stage motions that make for effective choreography.